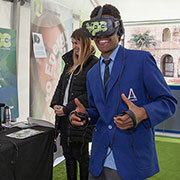 UWA's Perth campus was buzzing as more than 18,000 visitors turned out to discover what university life is like, with a few unexpected surprises for those who came along. 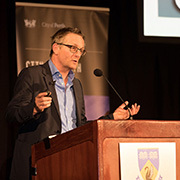 The workings of the microbiome - the kilogram or so of alien bacteria living in our gut - came under the microscope during a packed evening event at UWA featuring popular BBC science journalist Dr Michael Mosley. 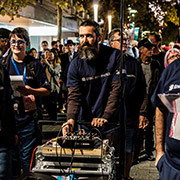 The streets of Perth came alive on Friday 13 April when close to 1000 singers and musicians gathered to harness the power of music and raise awareness of homelessness in Western Australia. 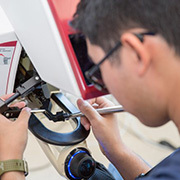 More than 800 prospective students have explored the teaching and research facilities on the UWA Health Campus, learning about the many health courses UWA offers. 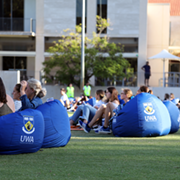 UWA has come to life again, officially welcoming more than 2000 commencing students for the 2018 academic year on Monday 19 February. 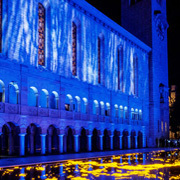 UWA’s New Century Campaign draws towards a successful close. 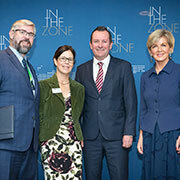 In October the PerthUSAsia Centre and UWA hosted ‘In The Zone: The Blue Zone’ at Beaumonde on the Point in Perth. 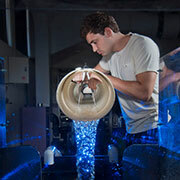 As a research-intensive university ranked in the world’s top one per cent of academic institutions, UWA encourages its students and staff to explore the unknown, challenge convention and make things happen. 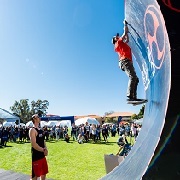 Research Week in September gave UWA the chance to open its doors and showcase some of the ground-breaking and diverse research that takes place at the University.